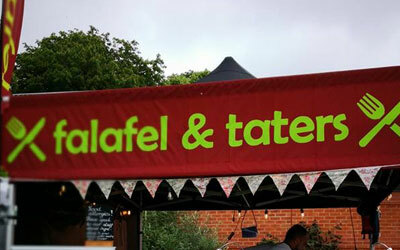 Serving up their tasty falafel and Halloumi to the masses , homemade falafel wrapped in flat bread . -Koft or shish taouk wrap . – Veg meze platter falafel , halloumi and mix salad .